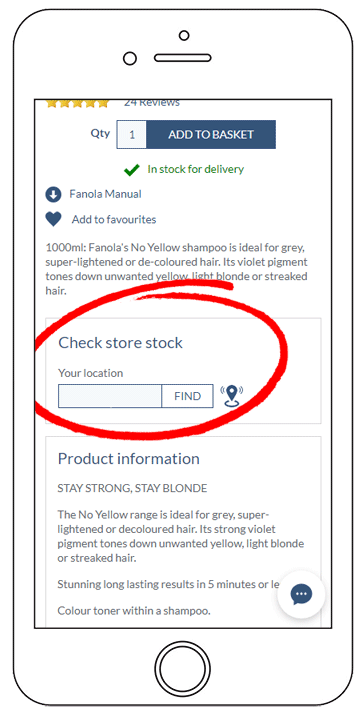 Just use our stock checker to locate your nearest store with the items you need. As soon as you complete your order, your chosen store will start picking your items and notify you once it is ready to go. You can then pay and collect your order at a time that is convenient to you – Your order will be held at your selected store for 3 days. Just visit our store page to check opening times, contact details and directions. 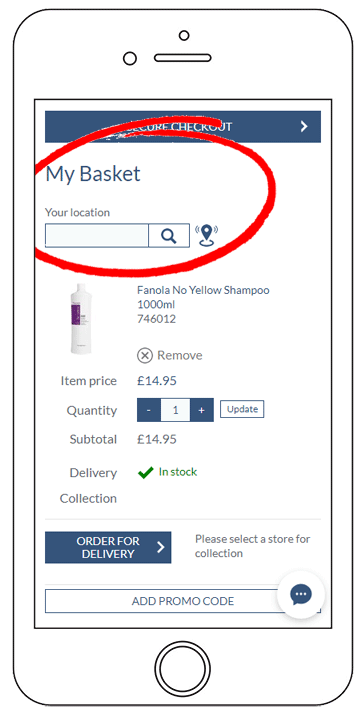 Check the items you want are available for Click & Collect at your preferred store using the store stock checker. Once your basket is complete, choose the store you want to collect your items from then select Order for Collection. 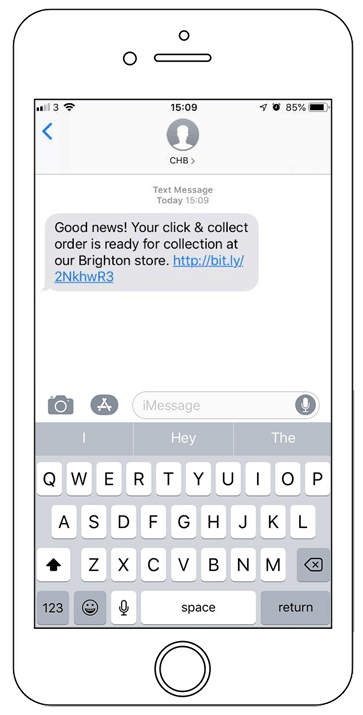 Wait until your receive an email or SMS informing you that your order is ready for collection. Go to your chosen store to collect and pay for your order. Please check online for store opening times. *1 hour collection only available during store opening hours. Orders placed in the last hour before store closing will be available for collection the following day. 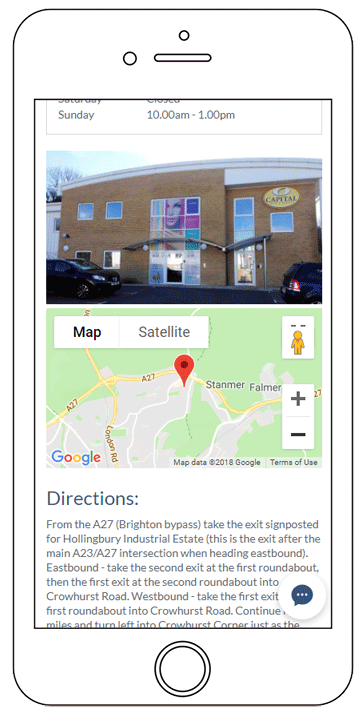 Click & Collect is currently not available at the following stores: M&S stores (Aintree, Chester, Edinburgh East, Leeds, Manchester, Newcastle, Stockport & Warrington), Salon Express Chelmsford, Salon Connection stores, Salon Shop stores & Capital Hove Local. Your chosen store will contact you via email & SMS to let you know your order has been processed. Please check the store opening times for more information. When you collect your order please bring with you the order number – This can be found on your order confirmation email. What if I need to cancel or amend my order? If you wish to cancel or amend a collection order before collection, then please contact your chosen store, who will be happy to make the changes for you. How do I return my collection order? If you aren’t happy with your order then please return the products within 28 days of collection, with your receipt to any of our Capital Stores. Unfortunately we are unable to process Click & Collect returns via the website. Can’t collect your order in time? No worries! If you can’t collect your order within 3 days, please contact the store who may be able to hold your order for longer. Any uncollected orders after this time will be cancelled and a notification will be sent to you via email.